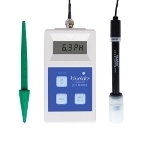 This is an ideal way for beginners to measure the pH of nutrient solutions. It takes a little longer but it can be pretty accurate if you take care. Even if you have a meter it is very useful to have a test kit - it can be used as back up to check the meter reading, and it is always very useful if the meter fails and needs repair. 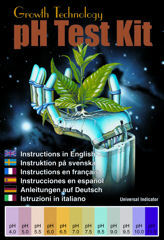 Full instructions in six languages.